Our year-end wrapup continues with the best of the concert hall. 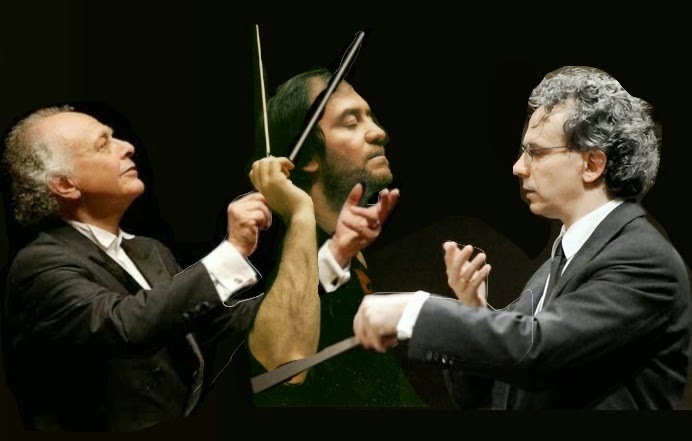 two substitutes (Valery Gergiev and Fabio Luisi) were brought in. This image was the result and it's my favorite photoshop I did this year.. Photo alteration by the author. Here at Superconductor, we go to a lot of concerts. And these are five that stood out in 2014 as our year-end best of rolls forward. From the Civil War hymns reimagined by David Lang (and played in the bowels of an aircraft carrier) to the symphonic weirdness of Carl Nielsen heard at Avery Fisher Hall, these are the five finest from an interesting year at the symphony. Chronological order. We list the five best solo performances of the year that was. Framegrab of mezzo Joyce DiDonato at the Gowanus Ballroom. Image © 2014 Warner Brothers Classics. As this very strange year recedes into our memory, we're kicking off our year-end best-of on Superconductor. Stay tuned this week for more best-of posts, including the best operas and best symphony concerts of a very strange calendar year. It's tough out there when you're by yourself. It's also hard when you have just a pianist accompanying you. So with that in mind here are the best solo recitals (instrumental and vocal) that I saw in 2014. 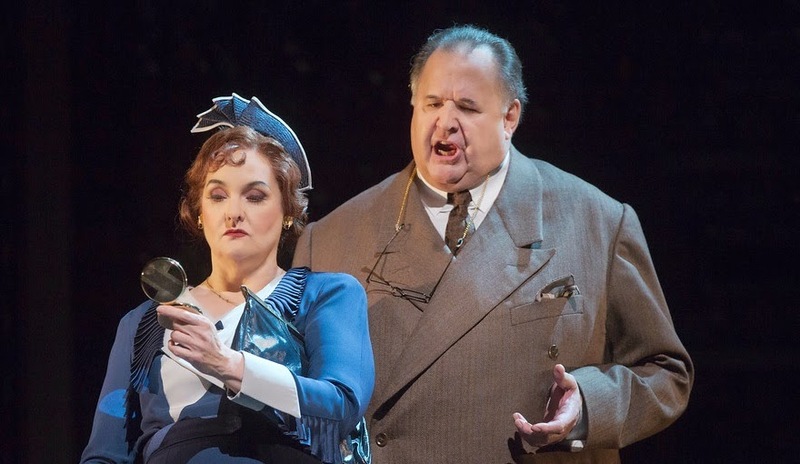 The Met warms up a new production of Lehár's operetta. Renée Fleming as Hanna and Nathan Gunn as Danilo in Lehár's "The Merry Widow." Susan Stroman's new production opens on December 31, 2014. Photo by Brigitte Lacombe © 2014 The Metropolitan Opera. In this new production of the evergreen Lehár operetta, Renée Fleming is Hanna Glawari, a rich and glamorous widow who becomes the object of affection for every ardent young suitor in turn-of-the-century Paris. Nathan Gunn is her ardent suitor Danilo. Singers of the Trinity Choir. Photo by Leah Reddy for Trinity Church. Handel's Messiah remains his blockbuster. It has remained in the repertory for 261 years, moving from a work performed to raise money for hospitals at Easter to an annual New York tradition in celebration of Christmas. 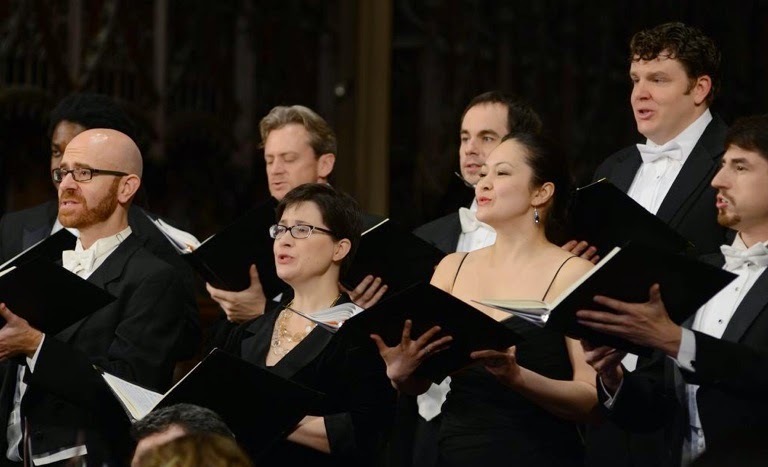 Each year, its most traditional visitation comes at Trinity Church, which gave the work's New York premiere when it was considered "new music." That premiere was echoed by Wednesday night's performance, which also kicked off a month-long celebration of baroque music at this historic locale. The New York Philharmonic does Dohnányi/Dvořák. 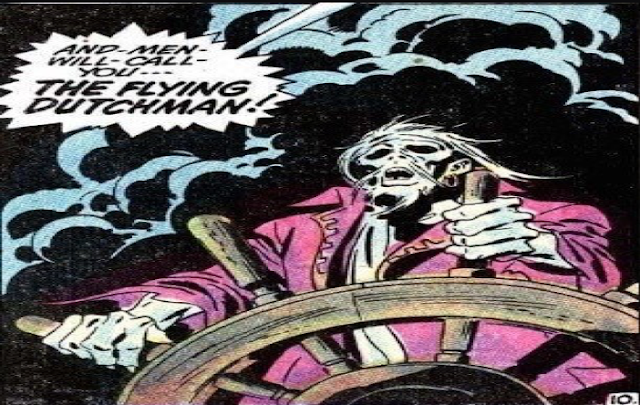 A framegrab of Christoph von Dohnányi. 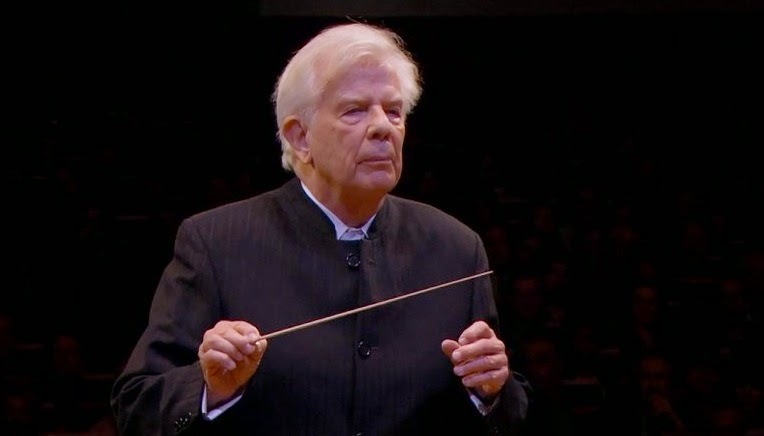 The venerable conductor Christoph Von Dohnányi finally arrived at the New York Philharmonic last week, just in time to conduct the second and final series of concerts in this year’s festival devoted to the combination of a single composer and conductor. (Yes, this year it was marketed as "Dohnányi/ Dvořák" but Mr. Dohnányi missed the first week as he was recovering from flu.) 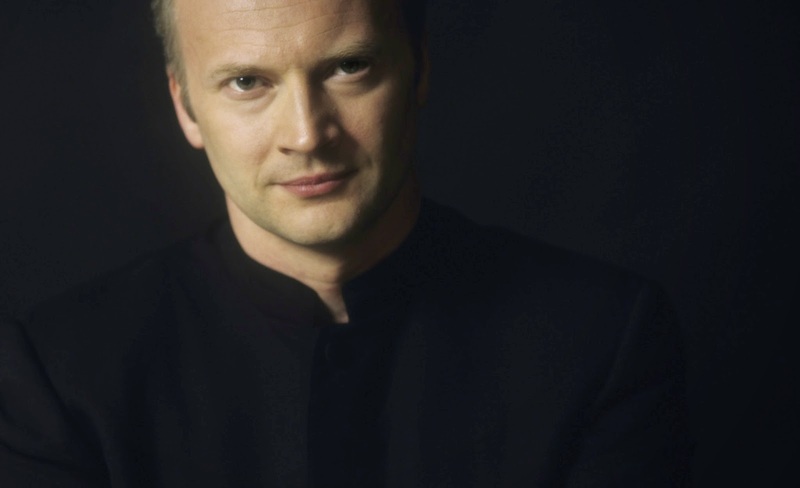 The aristocractic German conductor, whose long podium career stems from an ancestry that includes famed composer Erno von Dohnányi, looked hale and healthy as he stepped onto the podium at Avery Fisher Hall to conduct Friday night's concert. 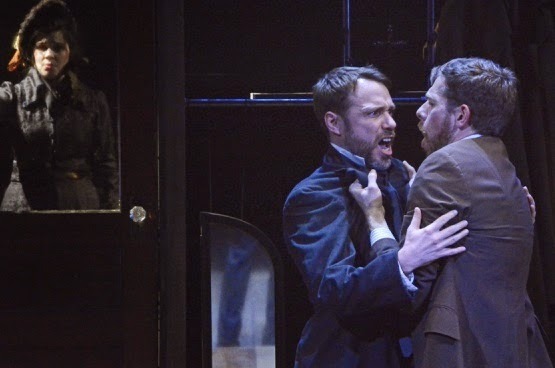 in the title role in a tense moment from Markheim. Photo by Tina Buckman © 2014 The Little Opera Theater of New York. Opera as an American art form has always been a tricky business. Although some works have found success on the limited stage, few composers from this country have achieved steady success in the art of music drama. One such exception is Carlisle Floyd. In a career spanning half a century and more, Mr. Floyd has written multiple masterworks, including Susannah (year) and Of Mice and Men. This week, the Little Opera Theater of New York explored two one-act operas by this composer in an engaging double bill, at the 59E59 Theaters. 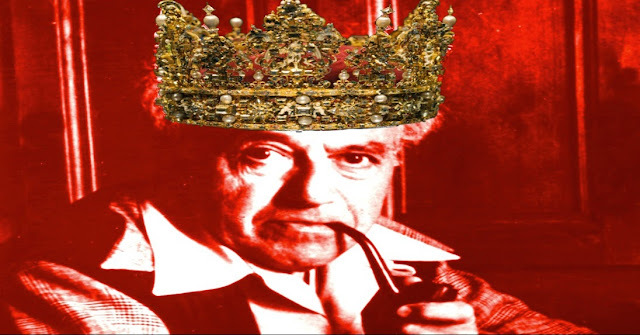 Uneasy lies the head...Composer Ernst Bloch, creator of Macbeth. Photo © G. Schirmer, image alteration by the author. The ever-searching and ever curious musical minds that program operas for graduate level performers at Manhattan School of Music have really dug up a doozy. On Wednesday night, MSM presented artistic director Dona D. Vaughan's staging of Macbeth, an innovative adaptation of Shakespeare's Scottish tragedy by composer Ernst Bloch. This was the New York premiere of the opera in its original French text, and the first staging of the Bloch Macbeth in New York since 1973. It was well worth the wait. Gotham Chamber Opera revives El Gato con Botas. in El Gato con Botas. Photo by Richard Termine for Gotham Chamber Opera. It is the sign of maturity for an opera company when it finally begins to produce revivals. 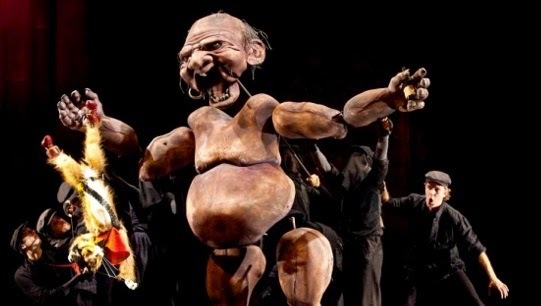 This month, Gotham Chamber Opera revived El Gato con Botas (yes, that's "Puss In Boots"), the charming children's opera by Catalan compser Xavier Montsalvatge. Mounted at the picturesque Teatro del Museo del Barrio at the upper end of Fifth Avenue, this proved to be one of the best family-friendly performances of the current opera season, a delight for the eyes, ears and funny bone. to Carnegie Hall on Dec. 7. Presenting William Tell, the four-act grand opera that prematurely ended the compositional career of Gioachino Rossini in 1829 is no easy task. The opera is huge, with four epic acts that try an audience's patience even when conductors make judicious (and sometimes deep) cuts. The opera marks an important transition between Italian bel canto and the grand opera of the French stage. Its libretto recounts the feats of the title character and his role as a farmer turned crossbow-wielding revolutionary and Swiss folk hero. For an opera company making both its Carnegie Hall and New York debuts, Tell is an unlikely choice. The Return of New York City Opera? New York's "other" opera company may be back from the dead. Back from the dead? The City Opera may be rising from the ashes. 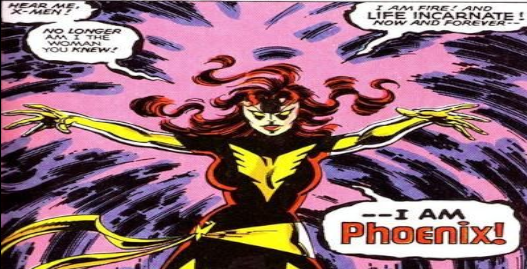 Art by John Byrne from X-Men #135 © 1978 Marvel Comics. In an astonishing early Christmas gift for the opera lovers of New York, the New York City Opera may be about to rise from the ashes of Chapter 11 bankruptcy. An agreement was reached today between the remaining City Opera and New York City Opera Renaissance, a new 501(c) organization dedicated to resurrecting the destitute opera company and returning it to the campus of Lincoln Center. Yannick Nézet-Séguin conducts the Philadelphia Orchestra at Carnegie Hall. Upstairs at the Kimmel Center: Yannick Nézet-Séguin. Photo by Chris Lee © 2014 The Philadelphia Orchestra. 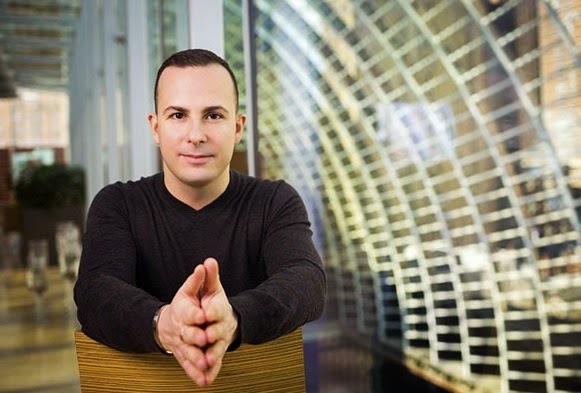 The standard concert order (overture, then concerto, followed by symphony) was turned on its head on Friday night as the Philadelphia Orchestra and music director Yannick Nézet-Séguin returned to Carnegie Hall for a program of Brahms, Haydn and Richard Strauss. Although this was a conservative, even mundane program, the high quality of execution by the Philly players made for compelling listening. Concert Review: What's In a Name? The Philharmonic opens Dohnányi/Dvořák...without Dohnányi. 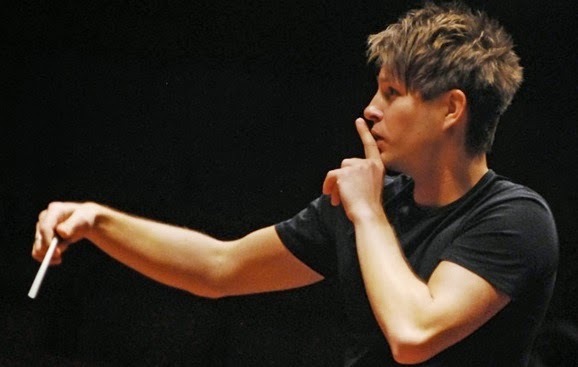 Ssh....it's young conductor Krzysztof Urbánski. The second cast lights up the Met's new Figaro. as the Met revives its new Le Nozze di Figaro this month. Photo by Ken Howard © 2014 The Metropolitan Opera. The Metropolitan Opera's new Richard Eyre production of Mozart's Le Nozze di Figaro (which opened the 2014 season in September) marched back onto the boards last night with an its second cast, featuring two new singers in crucial parts and bass Erwin Schrott in the title role. This run also marks the return of Dutch conductor Edo de Waart, and his steady hand in the pit propelled the show forward with no loss of momentum: a necessity in this most kinetic of operatic comedies. 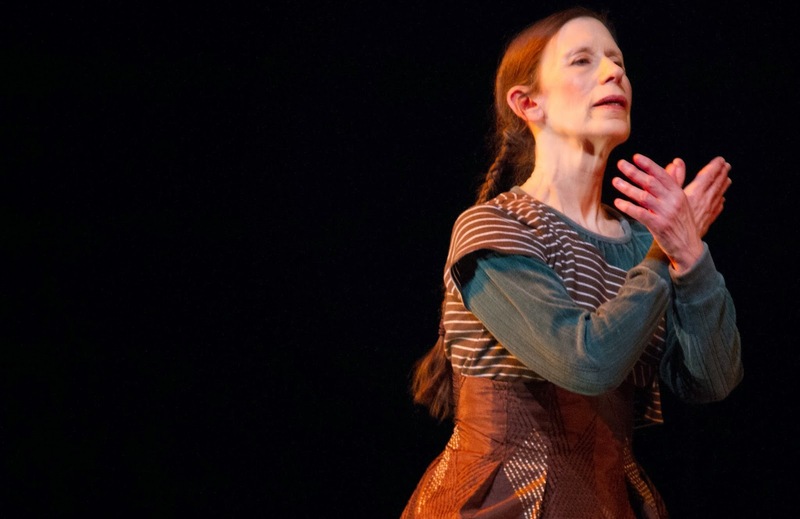 Meredith Monk unveils On Behalf of Nature at BAM. Meredith Monk performing On Behalf of Nature. A soft keening rose in the darkness. This tone developed softly, swelling in volume as other voices added themselves to its song. This was the subtle, aurally seductive opening of composer Meredith Monk's On Behalf of Nature, which premiered Wednesday night at the Brooklyn Academy of Music's Harvey Theater. The Met goes back to ye olde Meistersinger. A tender moment: James Morris and Annette Dasch in Act III of Die Meistersinger. Photo by Ken Howard © 2013 The Metrropolitan Opera. 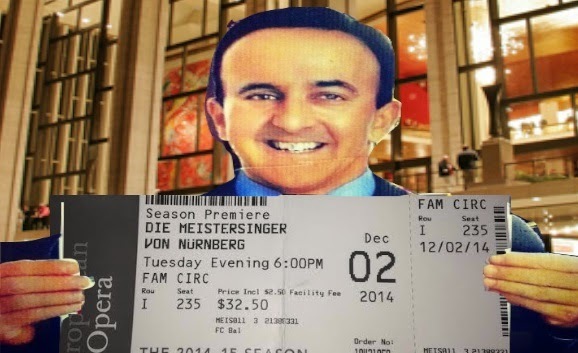 The Metropolitan Opera's current revival of Die Meistersinger von Nürnberg (seen last night in its season premiere) has a feeling of finality about it. Not only is this the last gasp for the company's picturesque Otto Schenk production, but it is also probably the last major Wagner role for James Morris, the Baltimore-born bass-baritone who won New Yorkers' hearts in the '80s, singing over 70 performances as Wotan in the Ring Cycle. Much to this guy's relief, the Met is getting out of the lottery business. New York Lottery image © New York State Lottery. Photo alteration by the author. Earlier this year, Superconductor published a column regarding the Metropolitan Opera's implementation of a new rush ticket policy for the 2014-15 season which forced would-be opera goers to enter a daily lottery on the Met website. Last night, this blog discovered that as of Nov. 20, 2015, this lottery has been discontinued in favor of an online-only, first-come, first-serve policy.